St. Irenaeus of Lyons: One should not seek among others the truth that can be easily gotten from the Church. . . . This entry was posted in Sayings from Saints, Elders, and Fathers, St. Irenaeus of Lyon and tagged Apostles, Eucharist, False Ecumenism, Holy Fathers, Holy Tradition, Orthodox Faith, The Church, Truth on June 3, 2014 by ocqadmin. 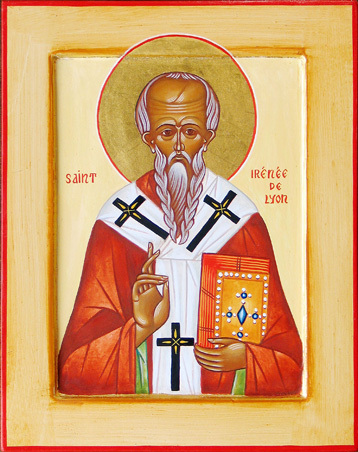 St. Irenaeus of Lyons: One should not seek among others the truth . . . This entry was posted in Sayings from Saints, Elders, and Fathers, St. Irenaeus of Lyon and tagged Apostles, Apostolic Teaching, Holy Tradition, The Church, Truth on January 17, 2014 by . 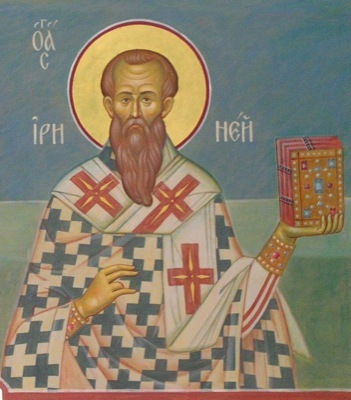 St. Irenaeus: He who shall preserve the life bestowed upon him, and give thanks to Him Who imparted it . . . This entry was posted in Sayings from Saints, Elders, and Fathers, St. Irenaeus of Lyon and tagged Creator, Life, Thanksgiving on November 26, 2013 by . St. Irenaus: We have learned the plan of our salvation . . . This entry was posted in Sayings from Saints, Elders, and Fathers, St. Irenaeus of Lyon and tagged Gospel, Holy Scriptures, Orthodox Faith, Reading the Scriptures, Salvation on August 7, 2013 by .